"They say this cat Shaft is a bad mother - SHUT YO' MOUTH! 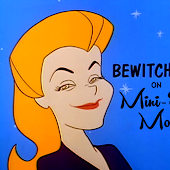 - I'm talkin' bout Putt Putt." 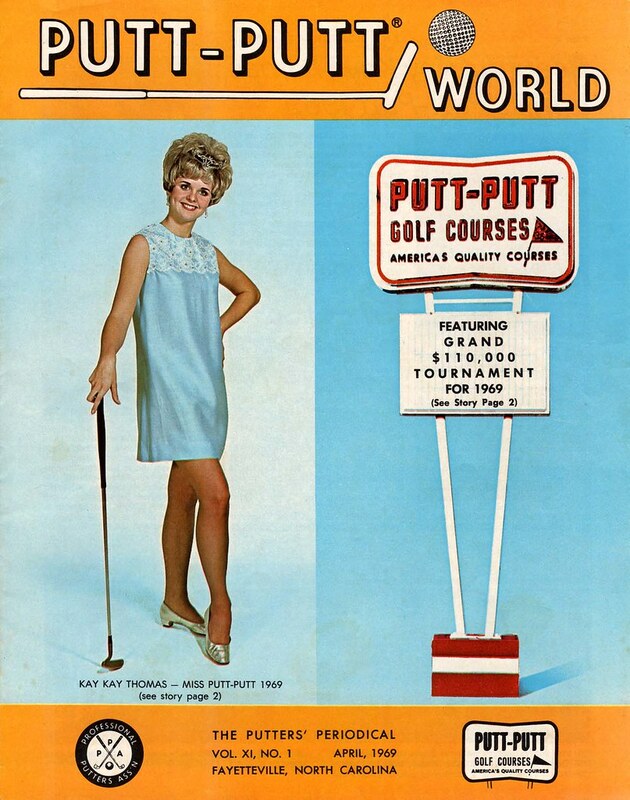 First, let's have a look at some of the covers of Putt Putt World magazine. 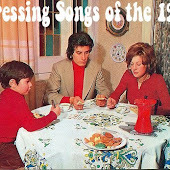 If you're expecting lame Kodachromes of various courses, think again. 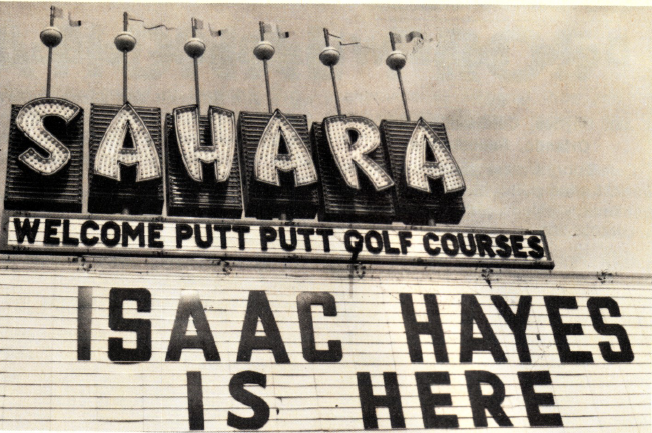 These are nothing short of a godsend - brilliant artifacts of a day when miniature golf actually was cool. Check 'em out. Easy on the hair cream there Baldoza. Looks like a handful of Vaseline went into that hairdo. If you can divert your eyes from the miniskirt for a moment, check out the 110 grand they're offering at a putt putt tournament! Are you kidding me? That's roughly 950 thousand dollars today! 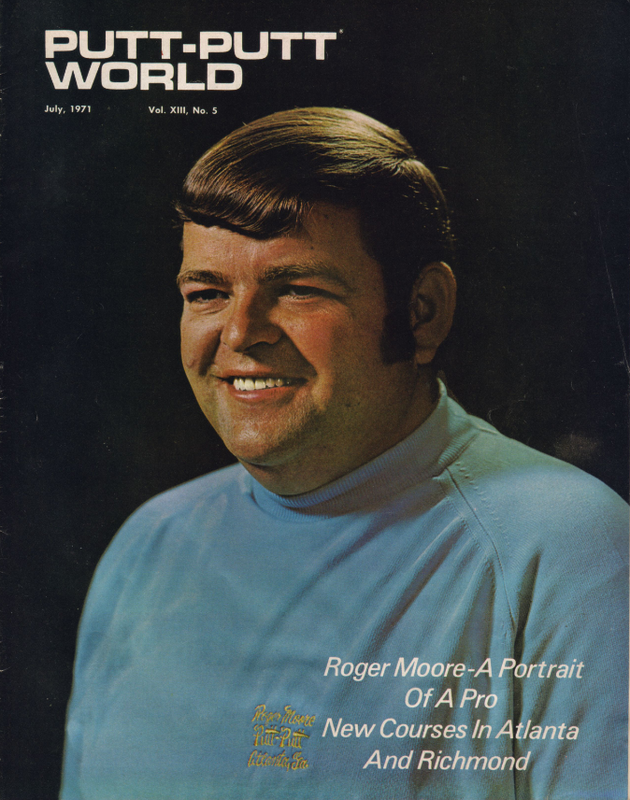 Here he is, the 007 of the miniature golf world, Roger Moore. 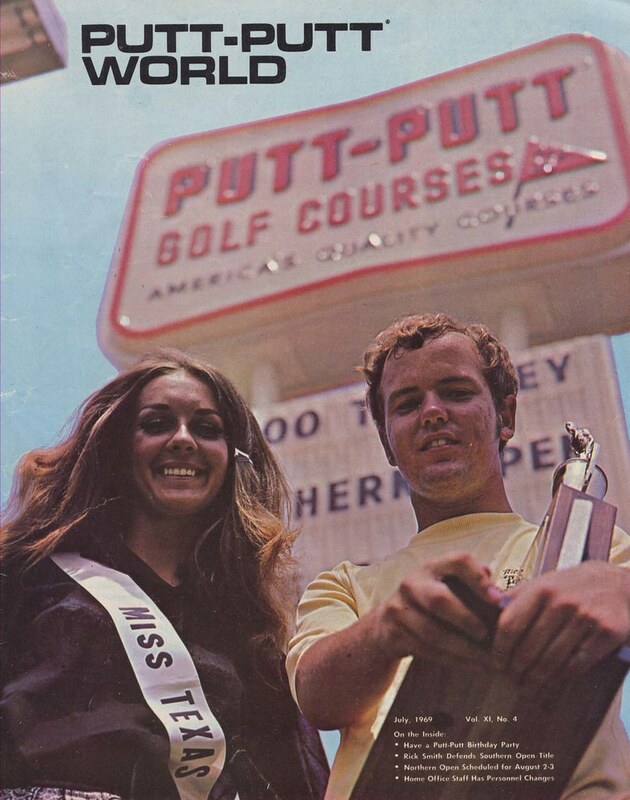 Didn't know putt putt golfers could bag beauty queens? Consider yourself learned. 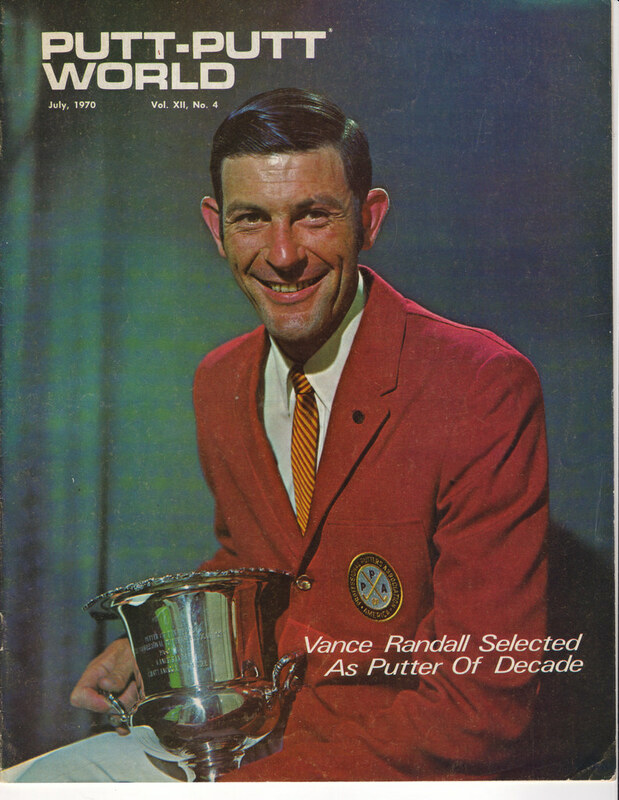 Little known fact: The US Putters Association has history's most convoluted logo. 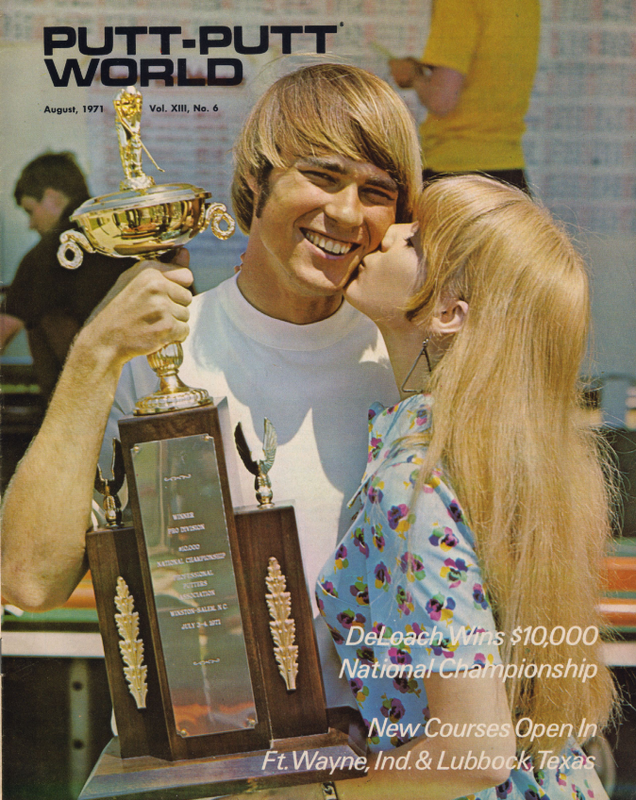 He's going to keep his trophy in his living room, right next to the mummified remains of his dear mother. It'll go perfectly with the lampshade made of human skin. 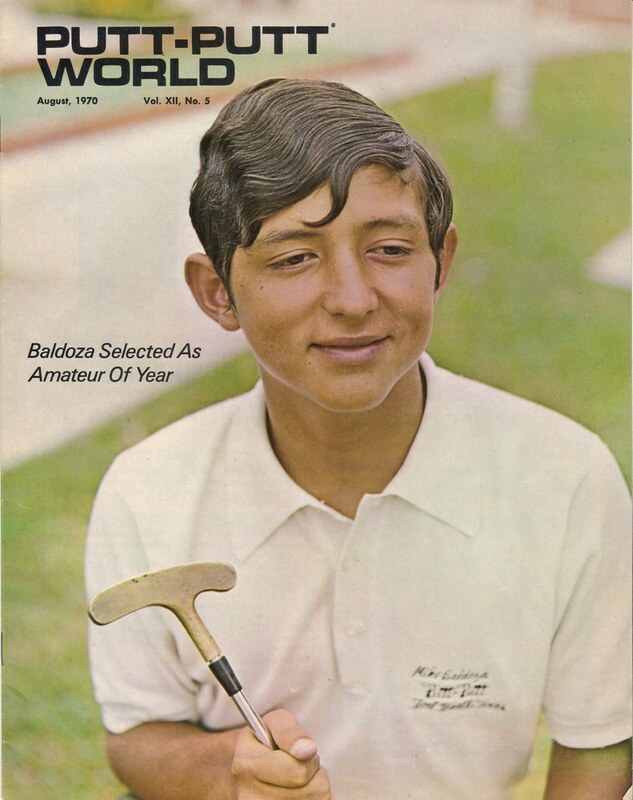 Prior to becoming an actor, James Spader was actually a world class putt putt golfer. It's true. 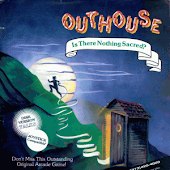 Look it up on IMDb! Is this what fourth graders see when they drop acid? Okay, for you guys that hung in there through all the Putt-Putt World covers, here's your reward: the lovely ladies of putt-putt! Clowns! Why did it have to be clowns? I think it's actually making a come back lately. There's Monster MiniGolf, a national chain of blacklight monster-themed putt-putts that are a lot of fun. There's another one in my state that is a blacklight underwater-themed one, but I haven't been to it yet. 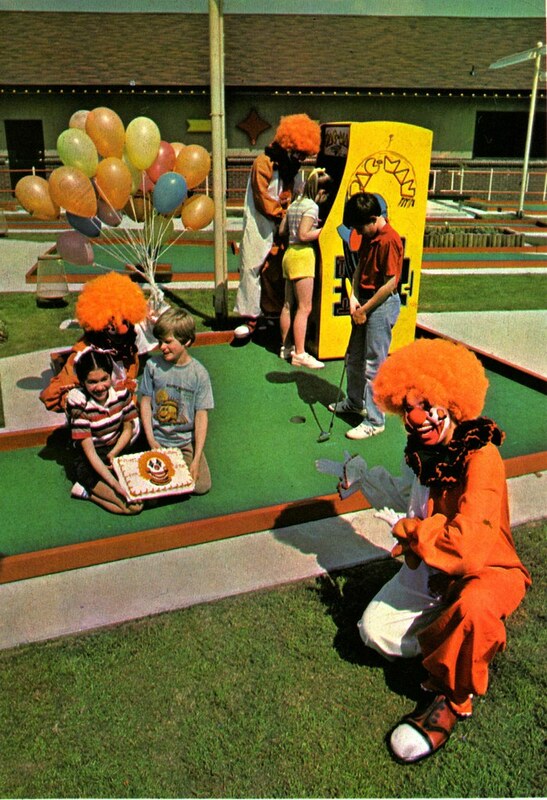 I recall the Putt-Putt mini-golf courses to be pretty tough compared to most other courses, they were quite challenging. 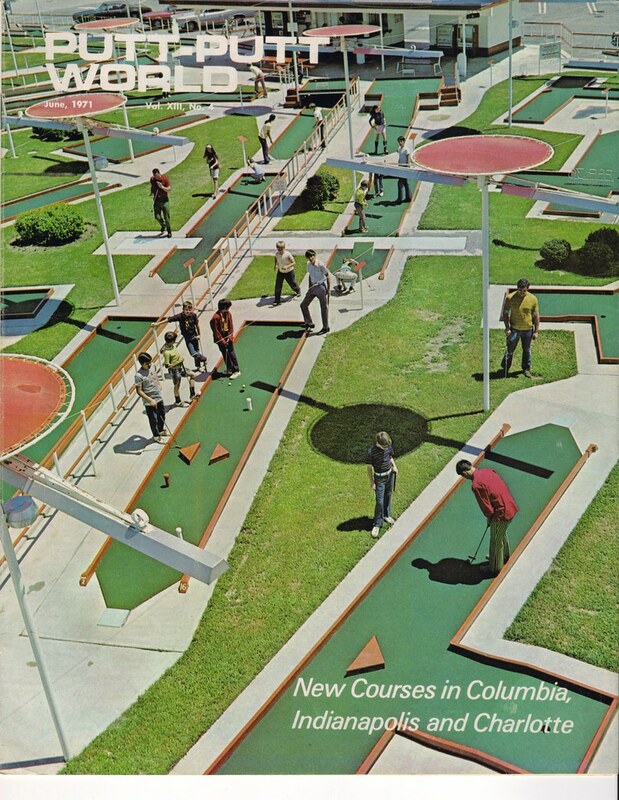 In the shore towns of South Jersey, they have tons of mini-golf courses to play on, and many have been in operation since the 60s. Roger Moore? Looks more like Seymour Goldfarb to me. Oh, man! 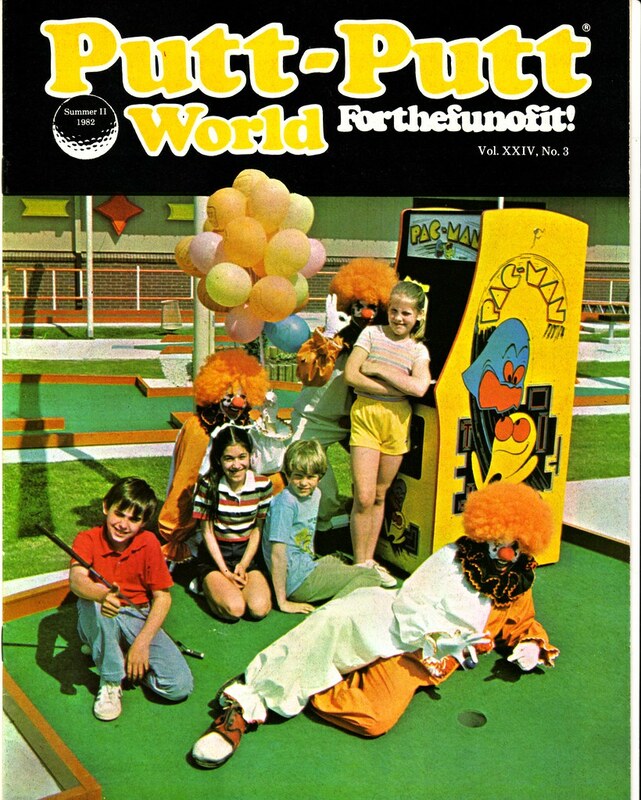 That last photo reminds me of my time on a Putt-Putt league in Indiana in 1977, as a severely uncool eleven year-old...my two other summer obsessions were Star Wars and Howard the Duck. Ouch. The Howard the Duck & Putt-Putt combo is a near lethal mixture of babe repellent, to which the only antidote is puberty. 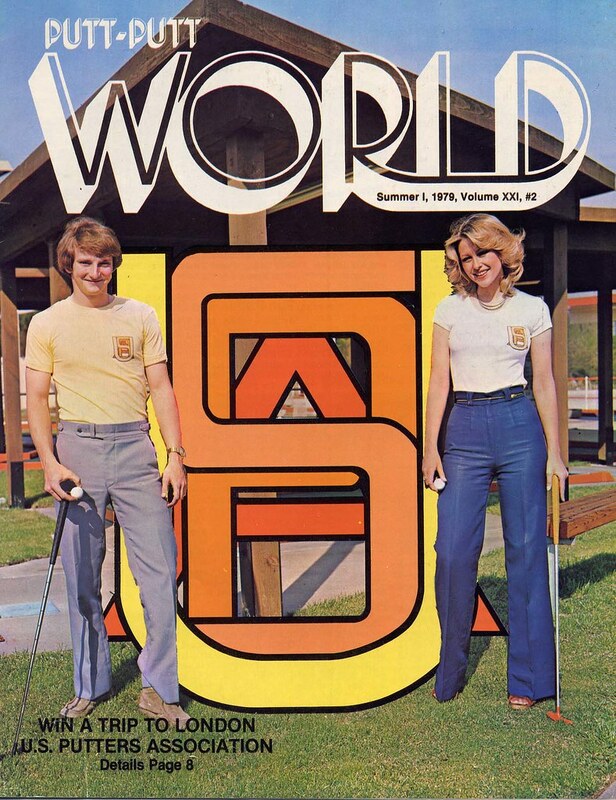 Yes, I already knew that miniature golf was very popular during the 70's - I played myself many times, but that there was actually a magazine devoted to it? That I did not know. 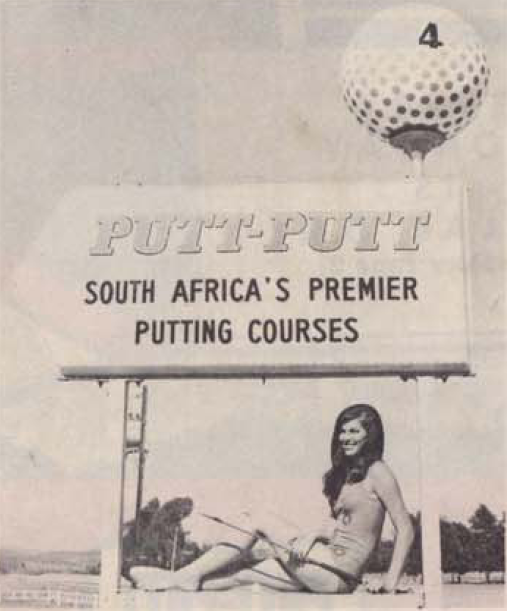 And "the ladies of putt-putt" - priceless! Too cool. 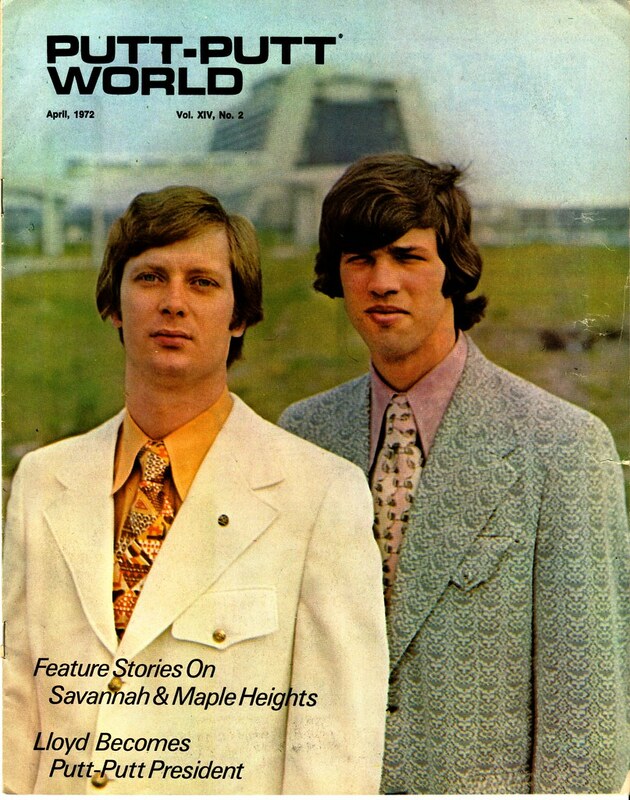 When I was just the age to have been noticing chicks... uh, women... for a few months, a couple showed up where my brother and I played Putt-Putt. 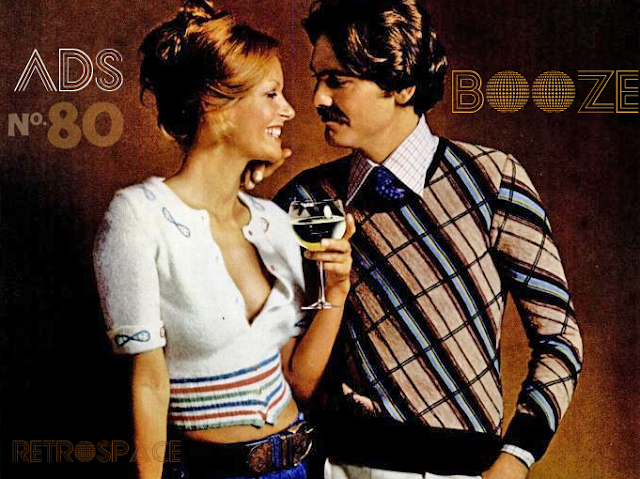 She was a sleek, long-haired beauty in one of those late-sixties bare-midriff tops and low-rise, bell-bottom jeans. 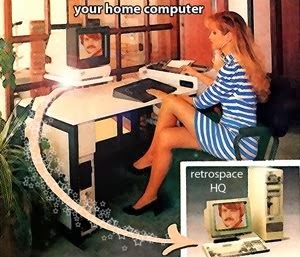 I still have that image branded into my vision center. I'm still in love with her. And I bet she has beautiful grandchildren by now. 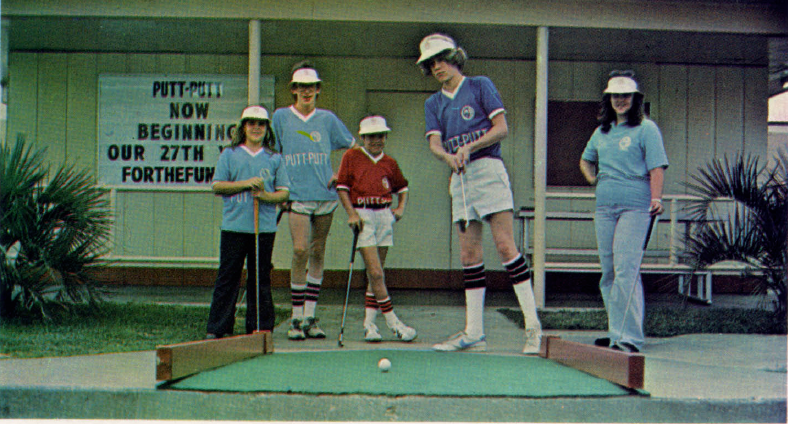 As the pictures show, Putt-Putt golf (a trademarked term) was serious...no windmills, dragons, or other gimmicks.